With the country of Ile-Rien is under attack by the army Gardier, a mystical sphere created by Ile-Rien's greatest sorcerer creates a magical spell that accidentally sends Tremaine Valiarde and others to another world filled with chaos, evil, and a hidden Gardier station, where Tremaine must unearth the secrets of the sphere to save Ile-Rien. Reprint. 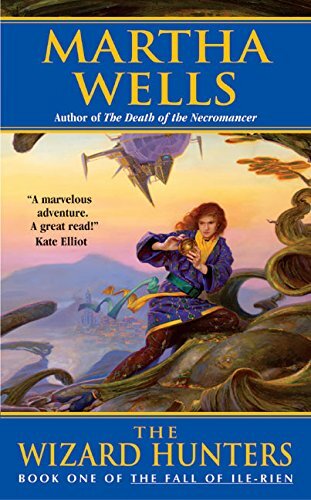 Martha Wells is the author of a number of fantasy novels, including The Cloud Roads, The Wizard Hunters, and the Nebula-nominated The Death of the Necromancer. Classically trained, Talmadge Ragan is a professional actor who has appeared on stage, screen, and television, and she does voice work for commercials, narrations, films, and radio theater.